Are you Setting the Right Objectives for Sales Training? Many Sales Executives are under the impression that they are not getting the results they have expected from sales training. This webinar will discuss how setting the right objectives for sales training is a corner stone to improve this situation. 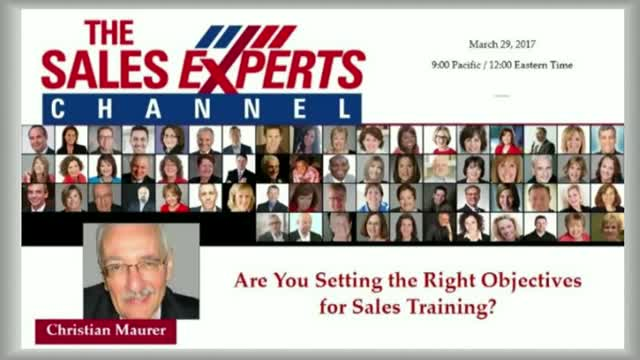 Title: Are you Setting the Right Objectives for Sales Training?